So it is no longer a rumor. Apple has officially unveiled iPad Mini. According to Apple's website, iPad Mini sports a beautiful display, powerful A5 chip, FaceTime HD camera, iSight camera with 1080p HD video recording, ultrafast wireless, and over 275,000 apps ready to download from the App Store. 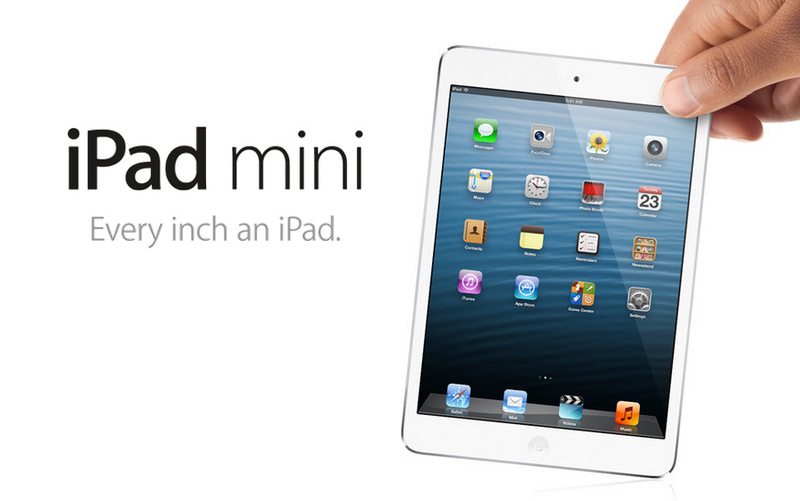 iPad mini is an iPad in every way, shape, and slightly smaller form. You can pre-order an iPad Mini October 26 or buy the Wi-Fi model at your favorite Apple Retail Store starting at 8:00 a.m. on November 2. Wi-Fi + Cellular models available mid November.